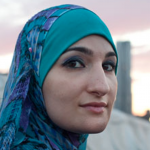 One of the Sarsour family members is Salah Sarsour, known to have been a board member of Americans For Palestine a board member of the Islamic Society of Milwaukee and the registered agent for the Wisconsin chapter of the Muslim American Society (MAS), a part of the US Muslim Brotherhood closely tied to the Egyptian organization. 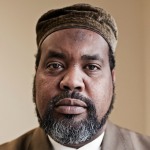 His brother Jamil is a Milwaukee businessman and known Hamas operative. 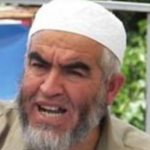 Jamil Sarsour was arrested in Israel in 1998 for providing financial and other assistance to HAMAS military commander Adel Awadallah who is known to have planned suicide bombings in Israel. Jamil Sarsour eventually pleaded guilty in an Israeli military court to giving $40,000 to Awadallah. During an interview with Israeli police, Jamil Sarsour said his brother Salah had been arrested by the Palestinian police in 1995 and when he visited him saw that he shared a cell with Awadallah. Jamil Sarsour described to the Israelis his brother Salah’s involvement with Hamas and fundraising activities by the U.S.-based Holy Land Relief Foundation (HLFRD) on behalf of Hamas. Sarsour told the Israelis that some of the members of the Islamic Center in Milwaukee, Wisconsin, and his brothers Salah and Imad were involved in raising money in the name of HLFRD that was actually intended or HAMAS. As the presidential election grew near, Linda Sarsour sat in her small office at the Arab-American Association in Bay Ridge, Brooklyn, looking at the photos of two thickly bearded young Arabs on the front page of an Arabic-language newspaper. The paper carried fervent slogans calling on young people to become martyrs in the conflict with Israel. Sarsour, a 24-year-old Palestinian-American, sighed. One of the men, she said, was a cousin who has been in Israeli jails for 25 years. The other man, she said, was a family friend serving a 99-year prison sentence in Israel. 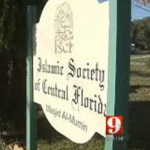 Her brother-in-law, she said, is also serving a 12-year sentence, accused of being an activist in the Hamas, the religious militant group, though, she said, he was secular in his beliefs. Linda Sarsour, one of the organizers behind Saturday’s Women’s March, being held in Washington, D.C., was recently spotted at a large Muslim convention in Chicago posing for pictures with an accused financier for Hamas, the terrorist group. While it would have been far better if we could reconstruct our original reasoning for calling Salah Sarsour a family member of Linda Sarsour, we do believe the above evidence points to such a conclusion although the Daily Caller reports she has suggested they are not related and/or refused to comment. As always, we would hope that media publications who draw on our material would acknowledge the GMBDW as a source but we have given up expecting that to happen in the US.